The ‘China threat’ discussion has dominated policymakers’ and geostrategic analysts’ perceptions of China over the past two decades. As well as the details and progress of China’s military modernisation programme, China’s behaviour in disputes with its neighbours is crucial to an assessment of China’s potential behaviour in the future. Pradt studies China’s behaviour in disputes during the period 1990–2015, focusing on territorial disputes over islets in the Spratly Islands and Paracel Islands in the South China Sea. 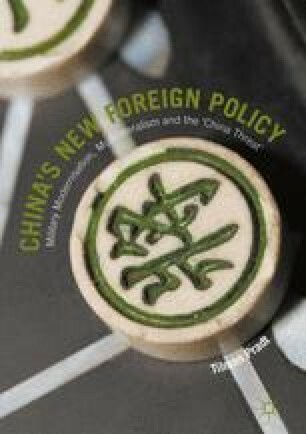 He analyses how this behaviour was intended to support or decrease the perception of a growing ‘China threat’ and how threatening China’s behaviour really is in terms of the other parties’ conduct.